15 night cruise sailing from Guayaquil aboard the National Geographic Endeavour II. 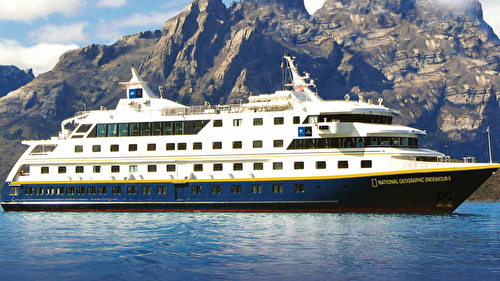 9 night cruise sailing from Guayaquil aboard the National Geographic Endeavour II. All cabins feature two lower single beds that can convert to a queen bed, armchair, and a large window. Cabin features very comfortable location onboard the vessel, two lower single beds that can convert to a queen bed, writing desk, bathroom suite, armchair, and a large window.